1 year prep guide for gmat. I am pursuing BTech Computer Science from a public university in India.I am in second year of my four year program.I have set a time frame of one year to take Gmat exam and score around 750.The only issue is I lack right direction.I am confused which books to buy,what to study.I am willing to do anything for getting my goal.Can anyone who has given gmat guide me?I will be indebted if i am pointed in right direction. I wonder if I should take that as a compliment.Is it true that og 17 has errors and there will be a new revised edition? It's a joke. Yes the OG has errors, but it is far more representative of the actual test for obvious reasons. After 16 years of tutoring I have found that other sources are misleading to students. Also, I really feel it's best to work with online materials, one less transition to have to worry about. It's quite another thing to work with paper materials and then have to take an online test. What exactly is CAT test?CAT test in India is an exam for Indian business schools. 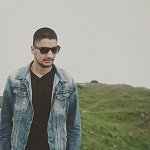 1)I am in second year of my engineering,I will give GMAT in 6 months,I do not make long term plans because it needs very strong motivation and it fails most of the times.I will apply in years,as i read we need job experience for MBA college.If i do not get admission in 3 years i will work for an year or two.So the answer is i plan on giving the exam in 6 months until i get a 750+ score.Will apply for college in 3-5 years. 2)I plan to get an admission to a top MBA college.As i am new here I do not know how realistic it is.The only thing i know is that I will do it. Thank you so much I have been reading many misleading articles.Someone recommended me to buy og16,some said go for Manhattan book series but the book series is very costly here due to the currency exchange rates. I will buy the three book set,the official guides.Anyhting else i need to know to score 750+? CAT stands for Computer Adaptive Test. 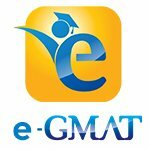 Since the GMAT is a computer adaptive test, to properly prepare for that Exam, you should plan to take realistic CATs at regular intervals. Since we don't know what your current ability level is yet, taking a CAT early on in your studies is a good idea. Its good that you are starting early. 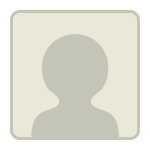 A score of 750 means 98%ile and you will need to word hard to earn that score. A part of that work is to study with a focus. 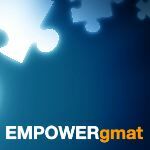 As others have mentioned, take a practice computer adaptive test from gmac (called GMATPrep). Find out your range with no prep.. Most students will freak out at this point when they view their score. That's when they more seriously consider how to prep. As always, nothing beats the official guide for practice questions. That said, practice doesn't make perfect, especially when it comes to reasoning. When you get to that point, look into prep material that changes your thinking and problem solving strategy. It's been almost 3 years since your original series of posts. Did you take the GMAT as planned? And are you almost done with your 4-year Program? This post aged well. No I didn't give gmat but I have to give it before this August. Yes, I sent an nearly done with my 4 year course. Thanks for asking, hope you are well. How is your GMAT preparation coming along? If you need any help with your GMAT preparation you can schedule a call with our Strategy Experts to discuss about it in detail. 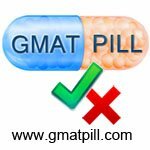 Feel free to PM me or reach out to us support@-gmat.com. I see that your first post in this thread was back in 2016. Are you still studying for the GMAT? If so, do you still need advice regarding your study plan? If you have to take the GMAT before August, then you still have 4 months of potential study time - which is good. However, if your Score Goal is still 750+ (which is a Score that 98% of Test Takers cannot achieve on the GMAT - regardless of how long they study or the number of times they take the Exam), you will likely need to commit to a consistent, guided study routine as soon as possible. 1) Have you done any studying for the GMAT over the last 3 months? If you're just beginning your studies (or restarting from scratch), then it would be a good idea to take a FULL-LENGTH practice CAT Test; you can take 2 for free at www.mba.com (and they come with some additional practice materials). If you want to do a little studying first, so that you can familiarize yourself with the basic content and question types, then that's okay - but you shouldn't wait too long to take that initial CAT. That score will give us a good sense of your natural strengths and weaknesses and will help provide a basis for comparison as you continue to study. A FULL CAT takes about 3.5 hours to complete, so make sure that you've set aside enough time to take it in one sitting. Once you have those scores, you should report back here and we can come up with a study plan.